Let’s say your company has slashed costs to the bone, boosted productivity and taken market share from competitors. But you still want to see some improvement. It’s time to find your weakest link and turn it into a strength. 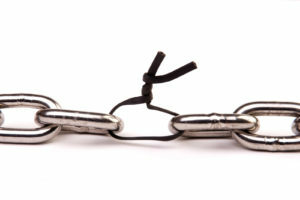 When searching for your company’s weak link, don’t just focus on production. Examine sales, knowledge, facilities, policies, financial issues and suppliers. The first step in identifying a constraint is to know your goals. Ask questions such as: Do we want to generate more revenue, speed the launch of products or cut the cost of workers’ compensation? Once goals are determined, you need to figure out the “critical success factors” that will help achieve your target. Not all these factors are constraints. Step One: Identify the obstacle. This is a local factor that has global impact. Constraint management assumes that as little as one variable — rather than many — may block the achievement of goals. Step Two: Exploit the constraint. Change the way it’s handled to get the most benefit without spending a lot of money. Advocates of constraint management say it’s appropriate for companies of all sizes, requires little training and can be used as a stand-alone solution or in conjunction with lean management, Total Quality Management and Six Sigma techniques. This entry was posted on Thursday, April 4th, 2019 at 9:20 am. Both comments and pings are currently closed.